BT071WSA – WaterSaver Faucet Co. 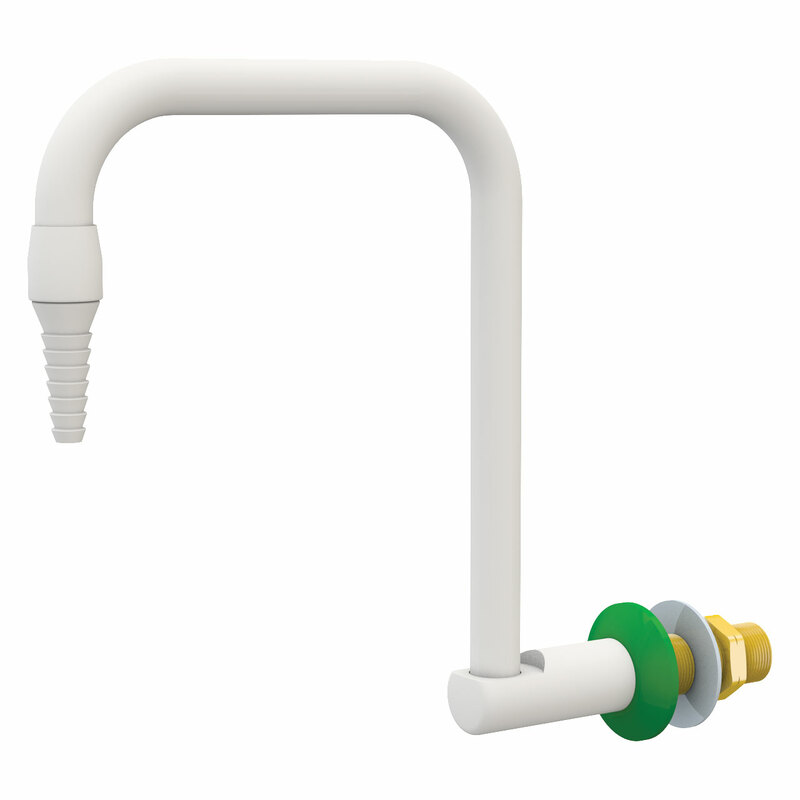 Application: Gooseneck for use with fume cupboard valve. Finish: Green flange with white finish on body, gooseneck and hose end as standard. Gooseneck: 6” (152mm) rigid gooseneck. Inlet: Furnished with mounting shank, locknut and washer. G1/2 male inlet. Quality Assurance: Fitting is fully assembled and factory tested prior to shipment. 10 bar (150 PSI) test pressure and maximum working pressure. BT074WSA Same as above except with convertible rigid/swing gooseneck.